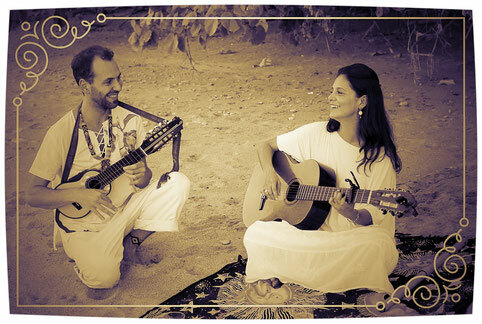 Their joyous music will lift your spirit, and their gentle yet powerful voices will heal your soul. Thank you, Amin and Andrea, for sharing the gift of your beautiful music. It has been a priviledge to attend several intimate concerts with Andrea and Amin. Their songs are musical prayers offering blessings and good wishes to the listeners. You sense that they are devoted to serving the listeners through their singing, playing and pure intentions. Whenever I listen to their music, whether in person or on a recording, it puts me in a better state of being and makes me feel connected. Muchos gracias por la música! 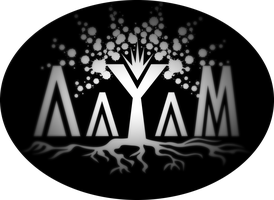 Aayam. Its inspiring me in many ways and touches my deepest inside. With the beautiful instrumental combination of hang, guitar, Ukulele, drums, flute etc, plus her Angel-like spanish Voice, It Makes my soul Dance and fly to faraway places - it Sends my soul on a Journey. Thank you, Amin and Andrea, for creating and sharing this powerful Music with us!